The subject of algebraic cycles has its roots in the study of divisors, extending as far back as the nineteenth century. 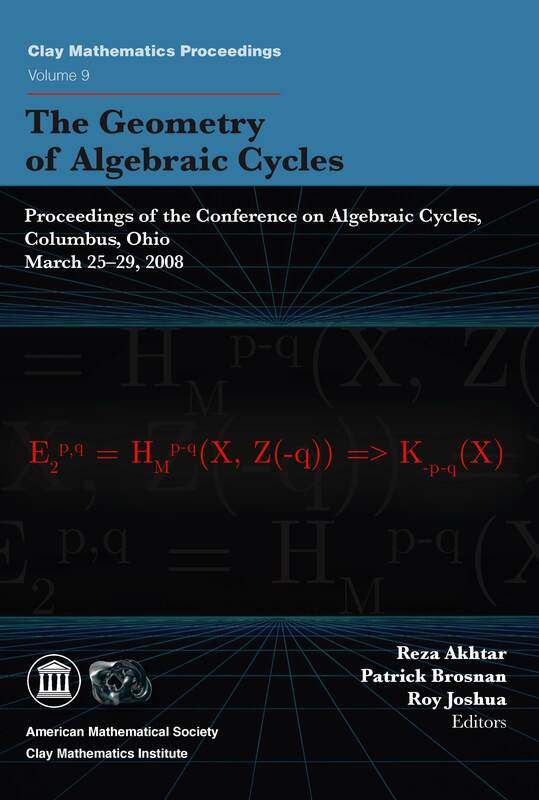 Since then, and in particular in recent years, algebraic cycles have made a significant impact on many fields of mathematics, among them number theory, algebraic geometry, and mathematical physics. The present volume contains articles on all of the above aspects of algebraic cycles. It also contains a mixture of both research papers and expository articles, so that it would be of interest to both experts and beginners in the field.